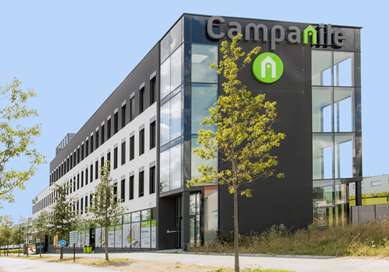 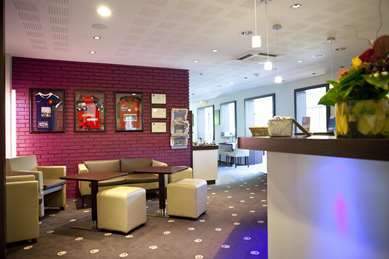 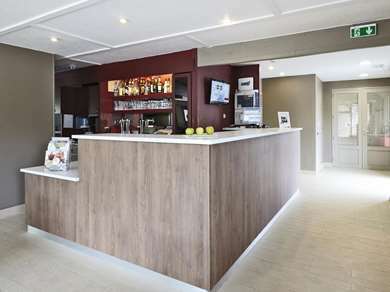 Our Campanile hotel-restaurant welcomes you at exit Porte de Cleunay of the western ring road of Rennes. 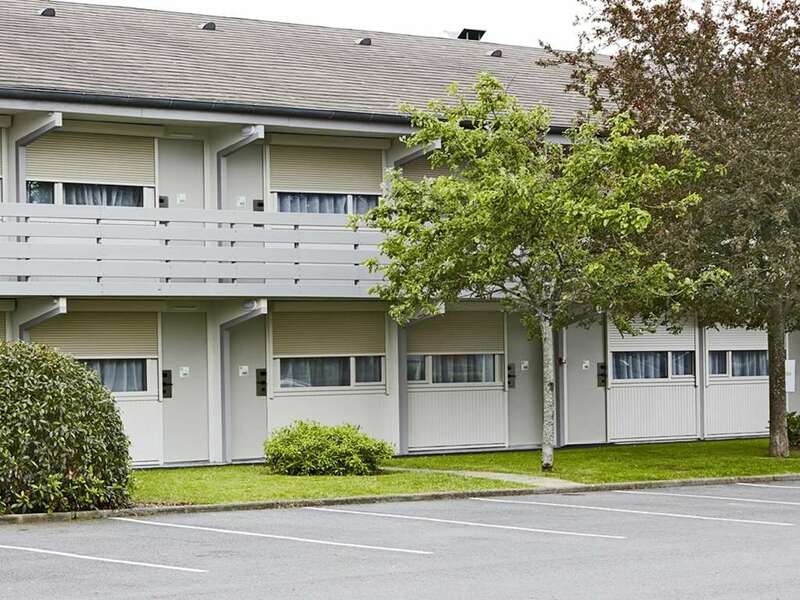 This 3-star hotel is located 10 minutes from Rennes. 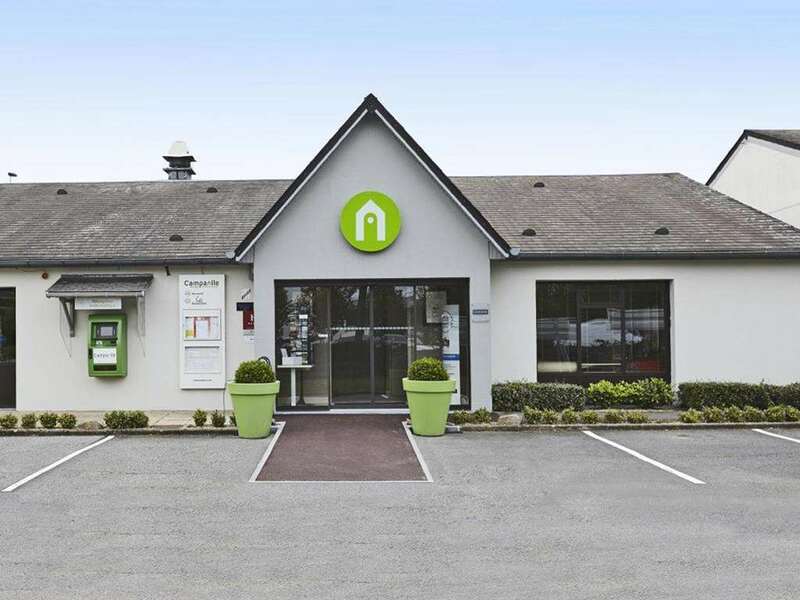 The Exhibition Centre and St Jacques Airport are only 15 minutes away. 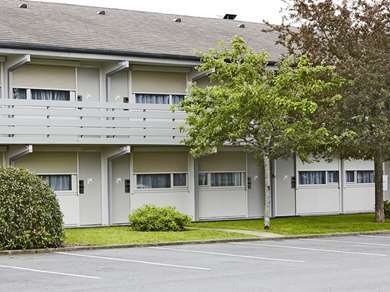 Rennes city centre is 3 km away, accessible by bus from the hotel. Located at the gates of Brittany, near the roads of Vannes, Lorient and Saint-Brieuc, this Hotel Campanile makes for a great holiday stopover. 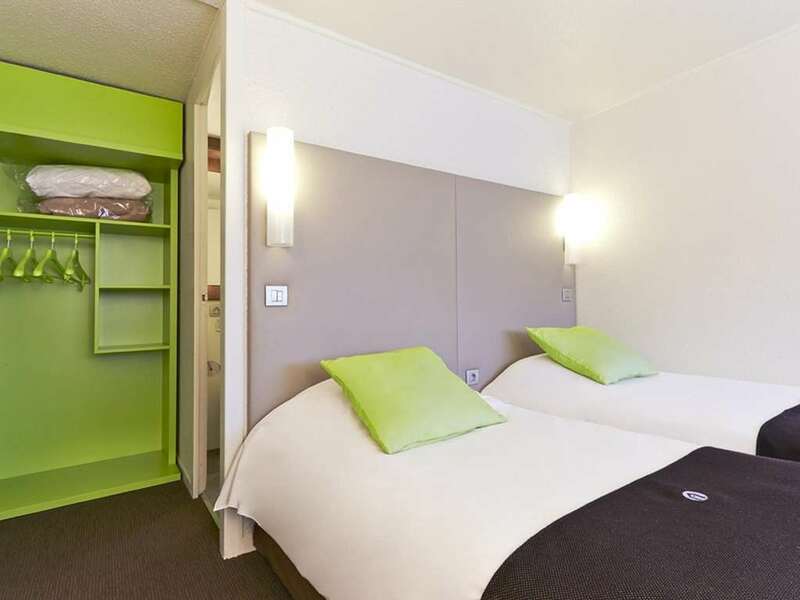 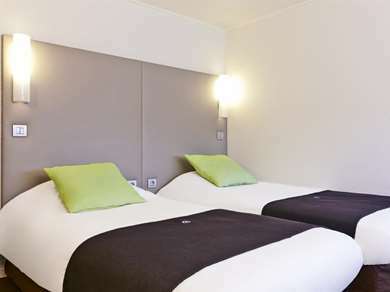 The double or twin rooms at Hotel Campanile Rennes-Ouest Cleunay feature luxury bedding. 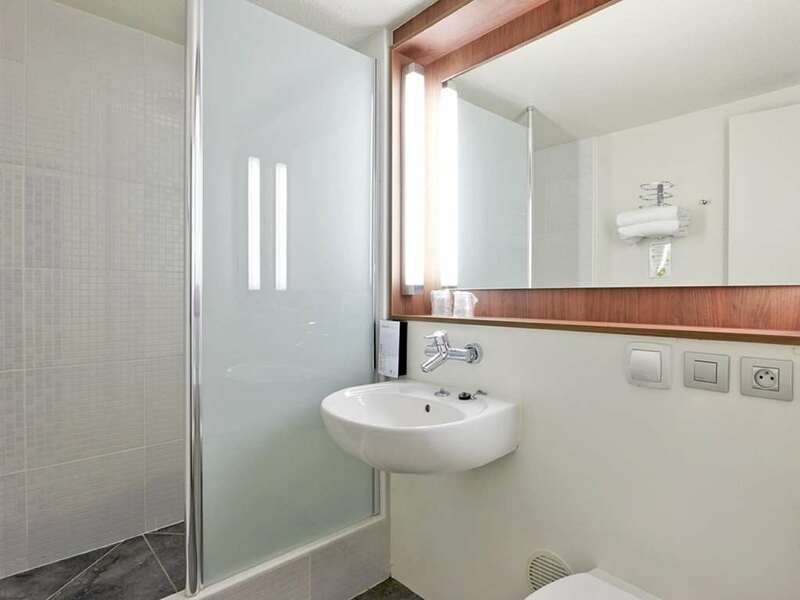 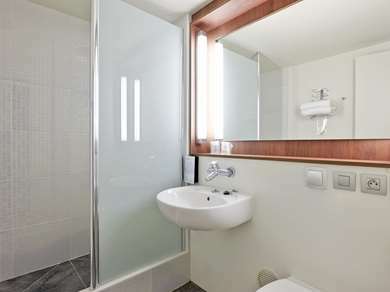 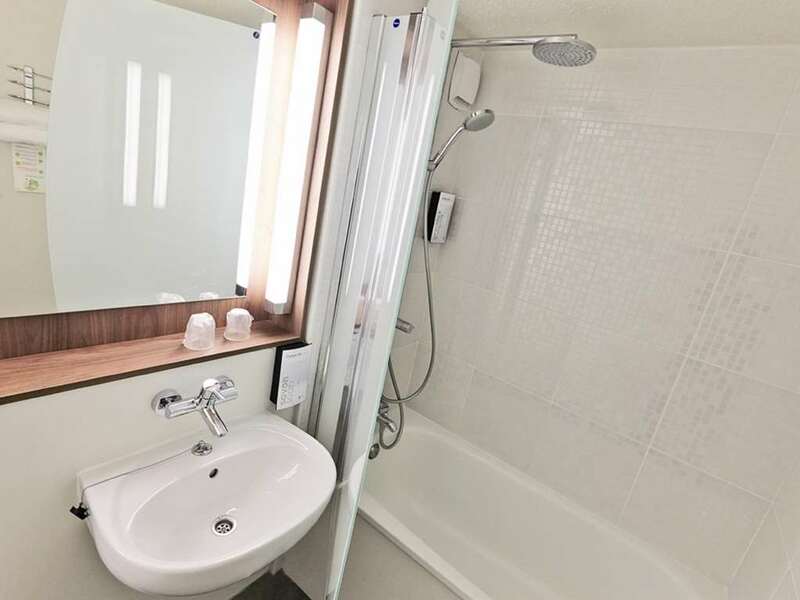 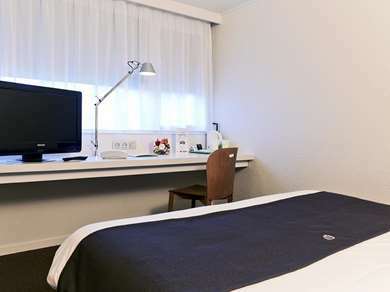 This functional and well furnished quality accommodation includes coffeemakers, flat screens with Canal + and high-speed Wi-Fi. 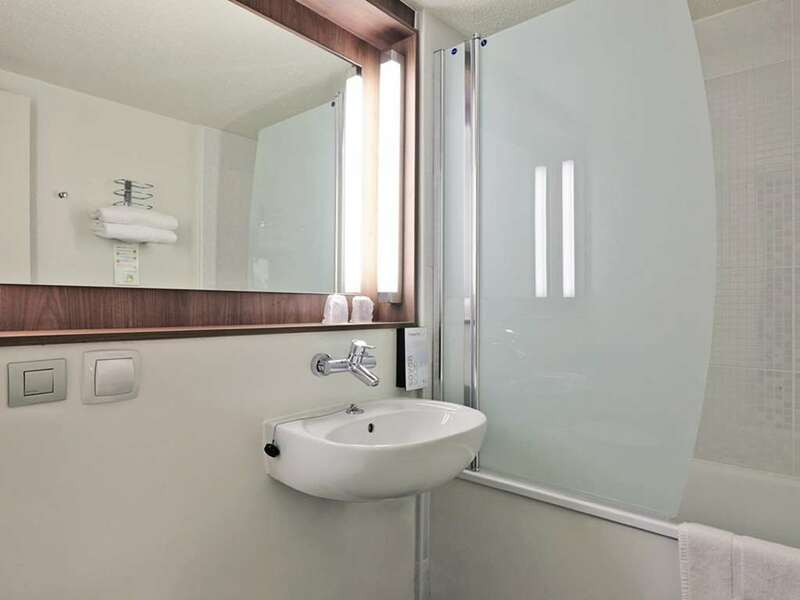 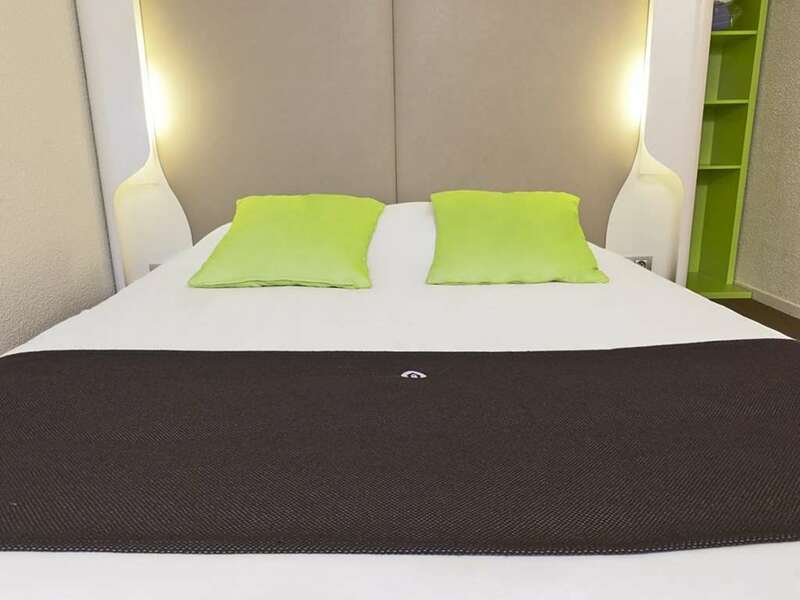 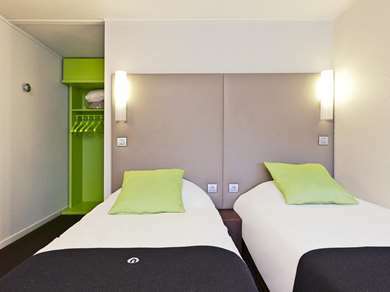 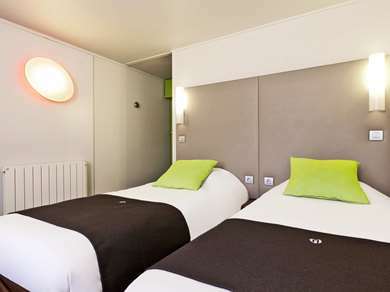 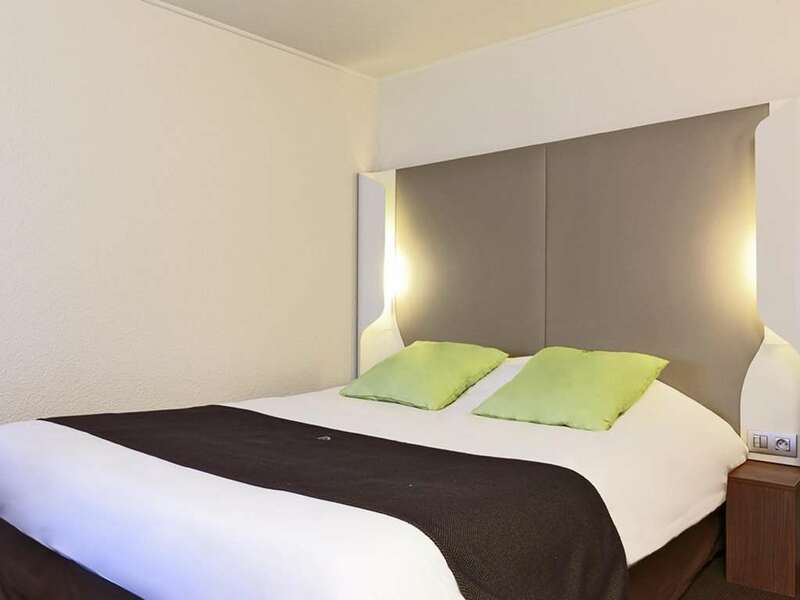 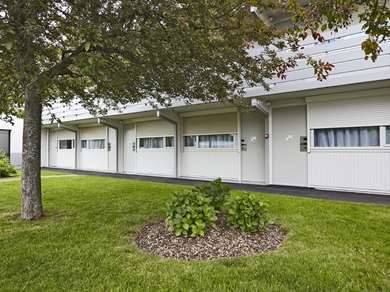 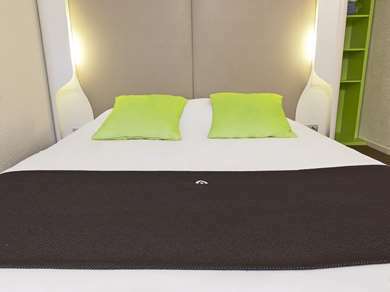 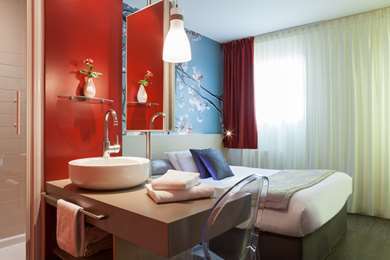 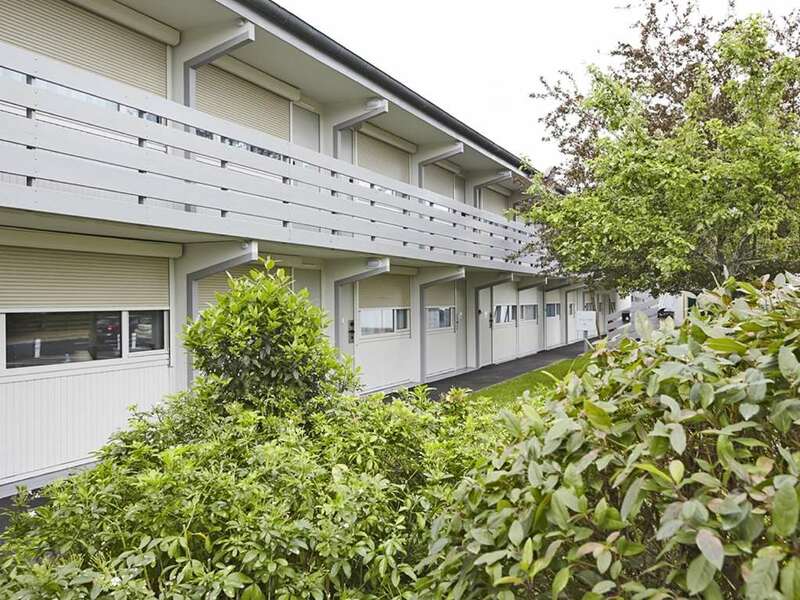 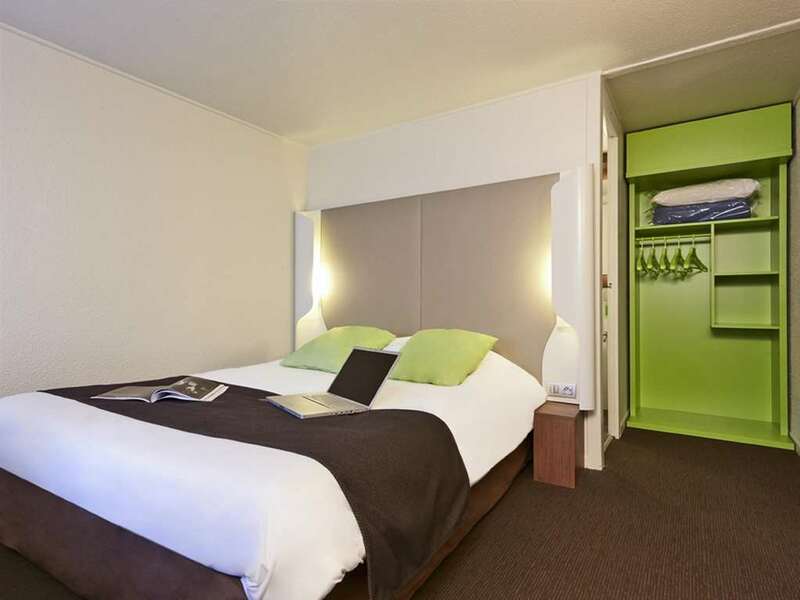 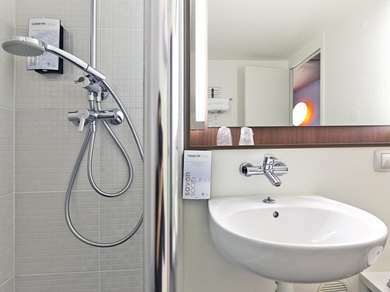 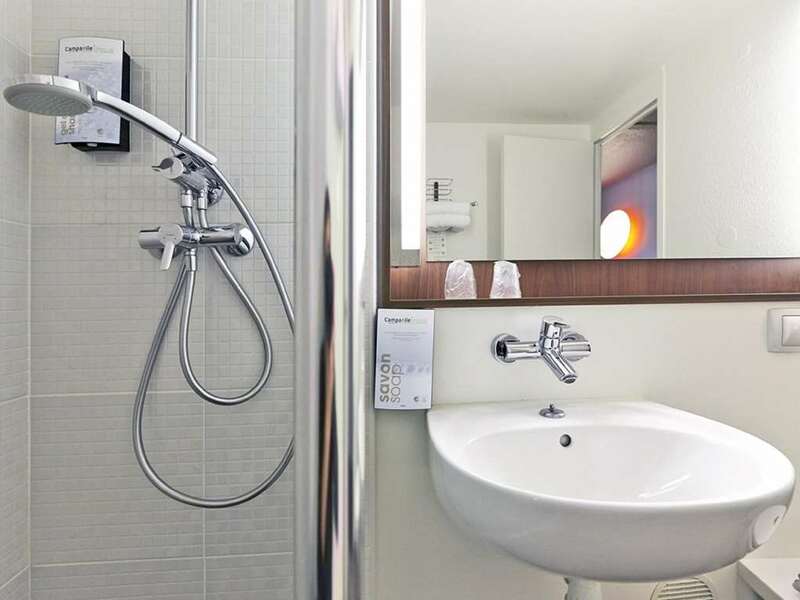 Enjoy a good night's sleep on your holiday route, business trip or weekend in Rennes. 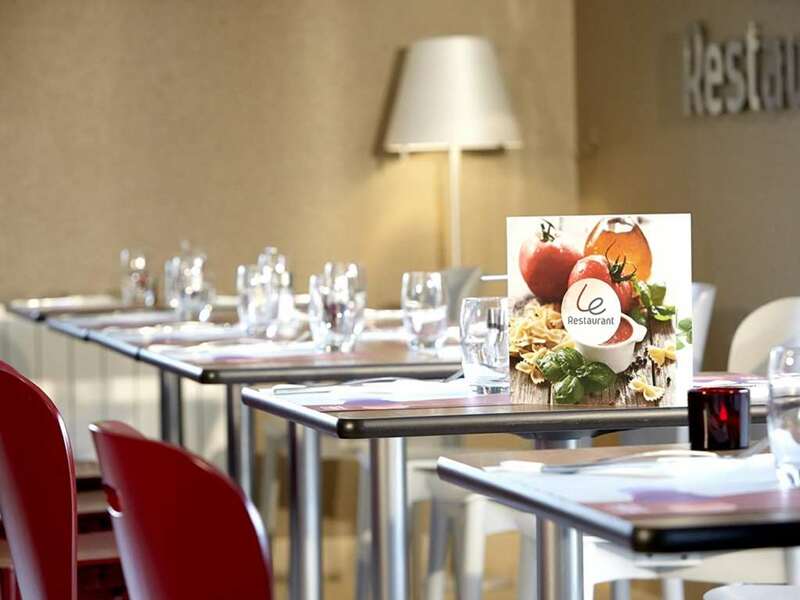 Refuel your energy in the morning with our vitamin filled breakfast. 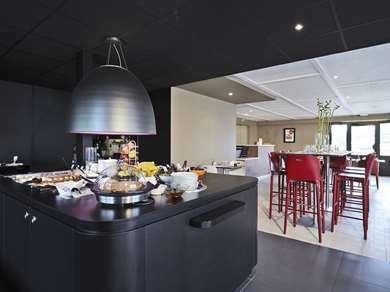 Served in a room in a contemporary setting or on the terrace, it consists of a large sweet and savoury buffet. 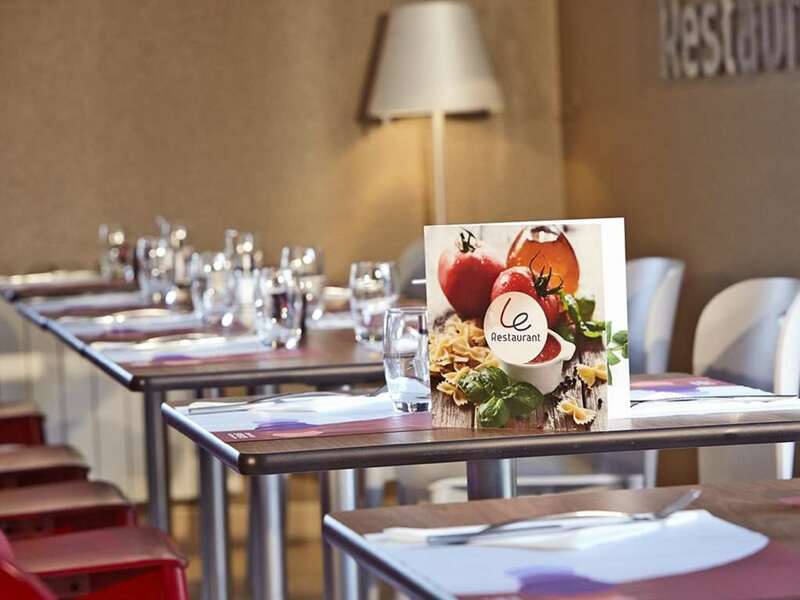 Open for lunch and dinner, the restaurant also offers a varied menu of seasonal dishes and a wide buffet selection of appetisers and desserts. 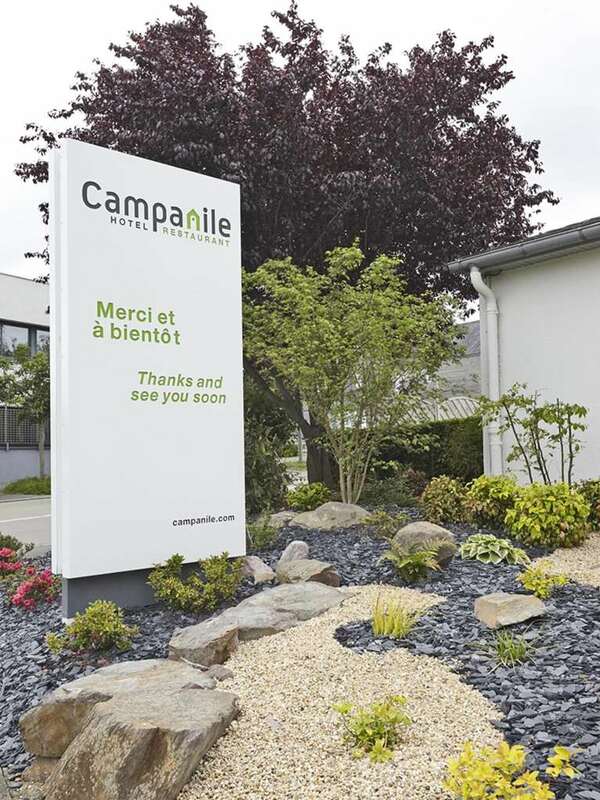 Hotel Campanile Rennes-Ouest Cleunay has free private parking, a lounge with a bar area, and a beautiful terrace surrounded by greenery. 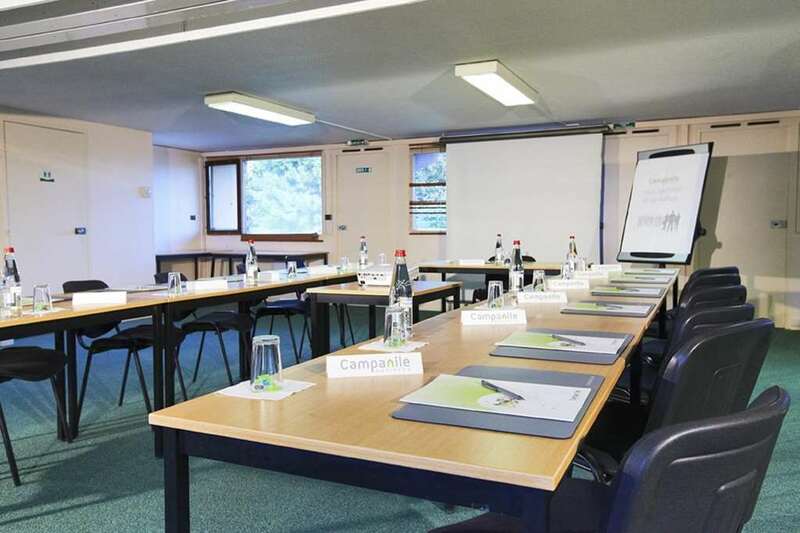 For your workshops, your professional training and events, Hotel Campanile Rennes-Ouest Cleunay has a meeting room at your disposal. Light and adjustable, it can accommodate up to 50 participants and has a video projector, screen, paper and paperboard. 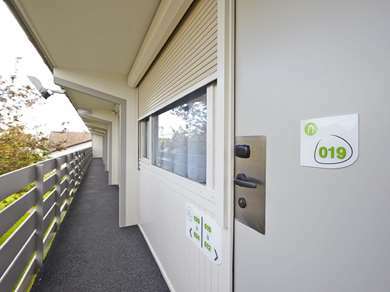 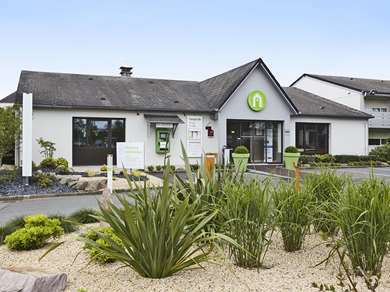 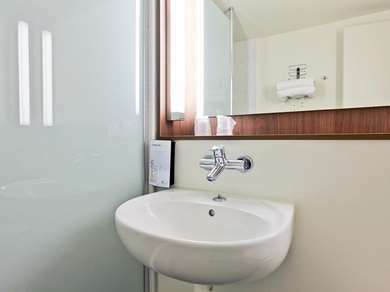 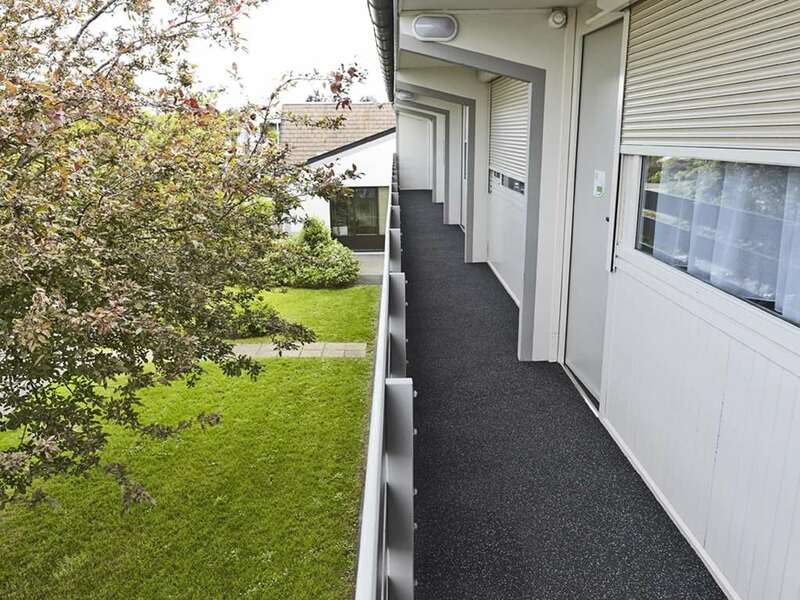 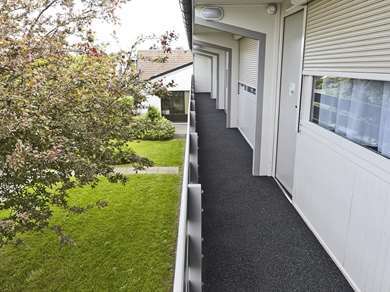 The Campanile Hotel Rennes – Cleunay has 45 rooms, including 25 double rooms and 20 rooms with twin beds, including two which are accessible to guests with impaired mobility. 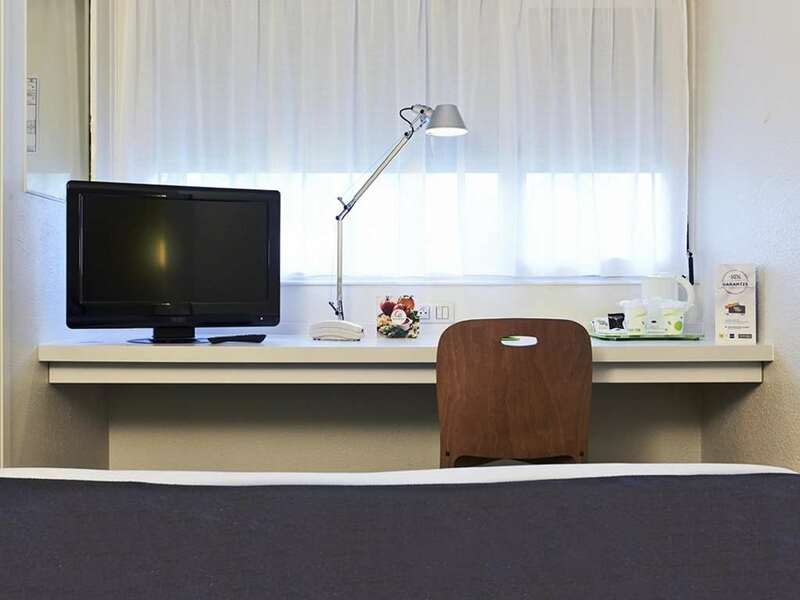 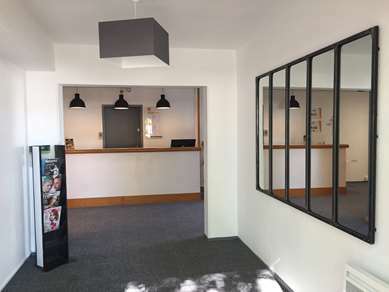 All of our rooms are furnished with a flat-screen TV, free WiFi with 14Mo speed, a desk, a telephone, an en suite bathroom with bath and tea and coffee-making facilities. 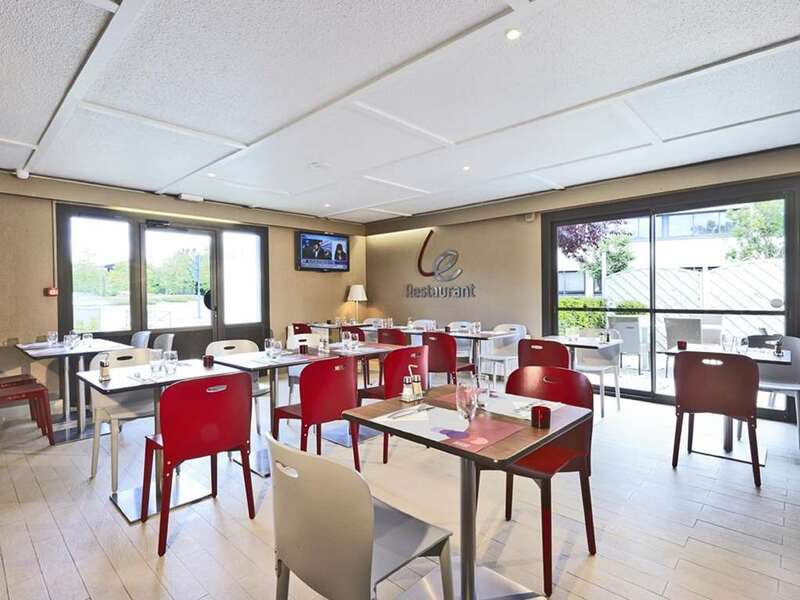 Hotel Campanile breakfasts are famous for filling you up. From 6:30 to 9 a.m., enjoy the buffet, where you can have as much as you like of everything you want in a breakfast: nourishing, light or complete with breakfast meats. Enjoy lunch and dinner in a good restaurant at Campanile de RENNES OUEST – CLEUNAY. 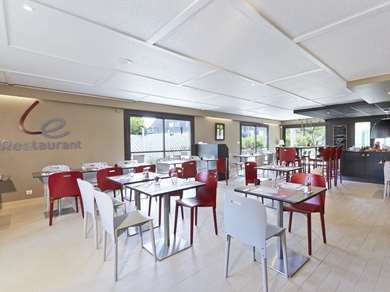 Try our delicious daily specials and the appetizer and dessert buffet. 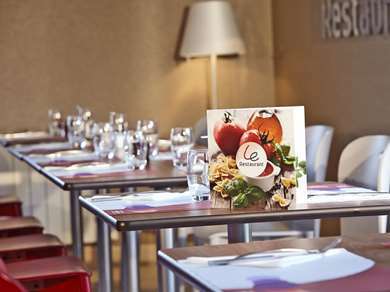 We are open for lunch from noon to 2 p.m. and for dinner from 7 to 10 p.m. 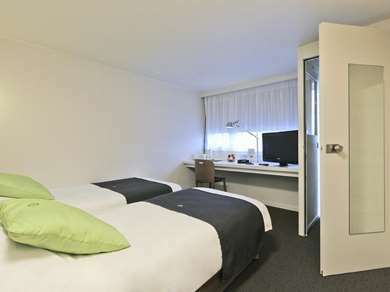 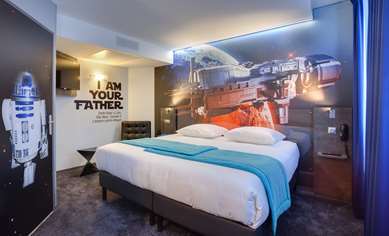 Afterwards, you can order room service (with reservation) until 10 p.m.
From Paris: take the south ring-road, direction Nantes, then direction airport, St-Malo, exit Cleunay. 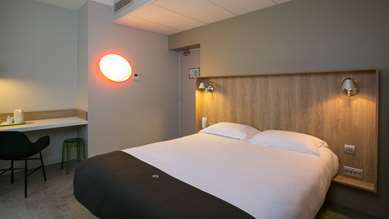 From St-Malo: direction Nantes, exit Cleunay. From Vannes/Lorient: direction Angers/Le Mans, exit Cleunay.